Koursoh Moradi was born in Kermanshah/Iran. He is the second son of the great master of Tanbour Aliakbar Moradi. He started studying Tanbour at early age with his father. 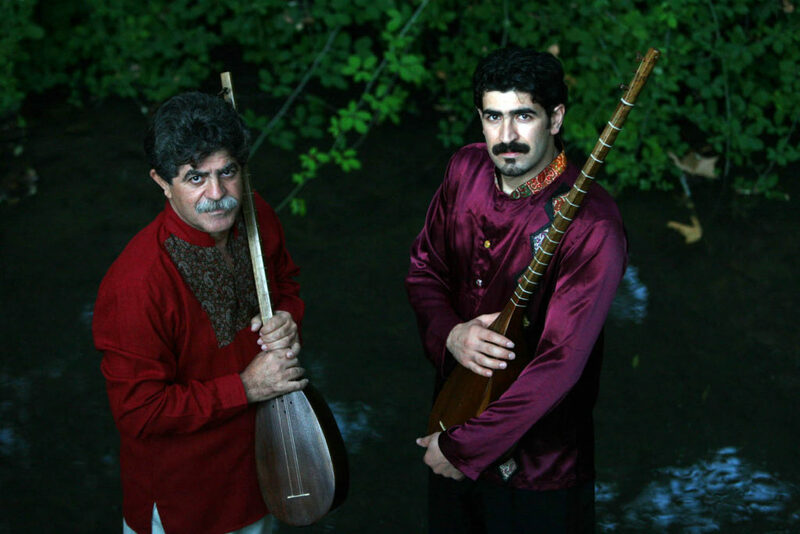 In addition to Tanbour, Kourosh has studied Daf with masters of the Yarsan order and Tombak with Master Hamid Moghadam while growing up in Kurdistan. Coming from a musical family, Kourosh has recorded and performed around the world continuing the family legacy of Tanbour with many esteemed masters of Kurdish/Iranian music. He has become an ambassador of music in the United States as he now lives and teaches in Southern California. Continuing the family legacy and the deep-rooted history of this ancient music and sharing it with new audiences from around the world. He continues to perform in conjunction with his father and continue the family legacy of sharing the music with audiences around the world.